Steps VisionTM Broadening Programme is an education programme tailor-made for primary school students, using a topic-based approach integrated with experiential learning for children to learn by experiencing our real life and the real world. An interesting real life topic is selected for each course containing a number of lessons. The real life topic not only broadens children’s horizon, but also acts effectively as a bridge to connect different subjects or aspects of learning (e.g. languages, science, mathematics, music, art, social development and personal development) together under that particular topic. To ensure purposeful teaching and learning, every lesson is carefully planned by our curriculum planners with learning objectives suitable for the target group of students’ level. 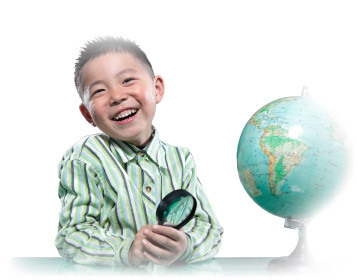 The real life topic greatly increases children’s interest to learn since what they learn is closely related to them. Overall Steps VisionTM Broadening Programme not only provides a platform for children to learn through real life and apply their knowledge to their own lives, but in the long run, it will build up our children’s habits of discovering knowledge, promoting learner autonomy and to make them feel motivated to learn as they grow up.